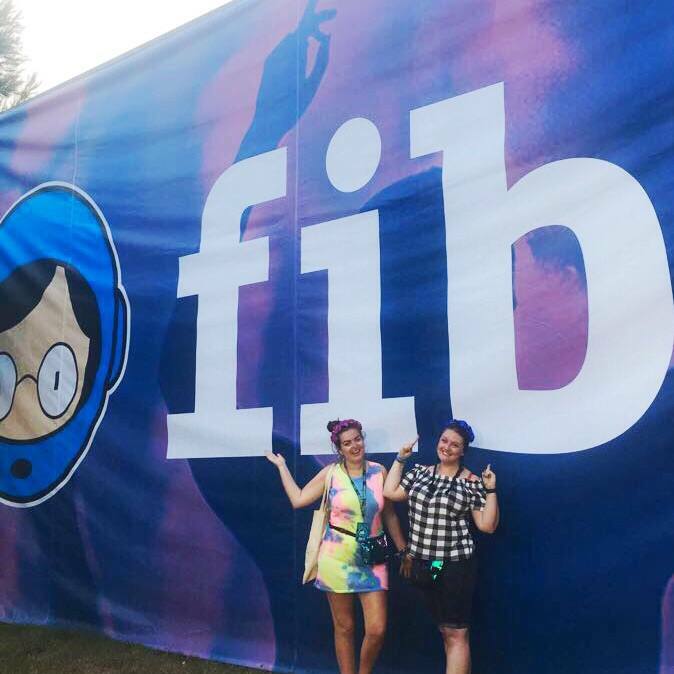 I enter a lot of competitions on Twitter but little did I expect to win two 4 day tickets with camping to Benicassim Music Festival in Spain with Festicket, but I did and so flights were organised, I roped in a buddy in the shape of Rachel and plans were made. 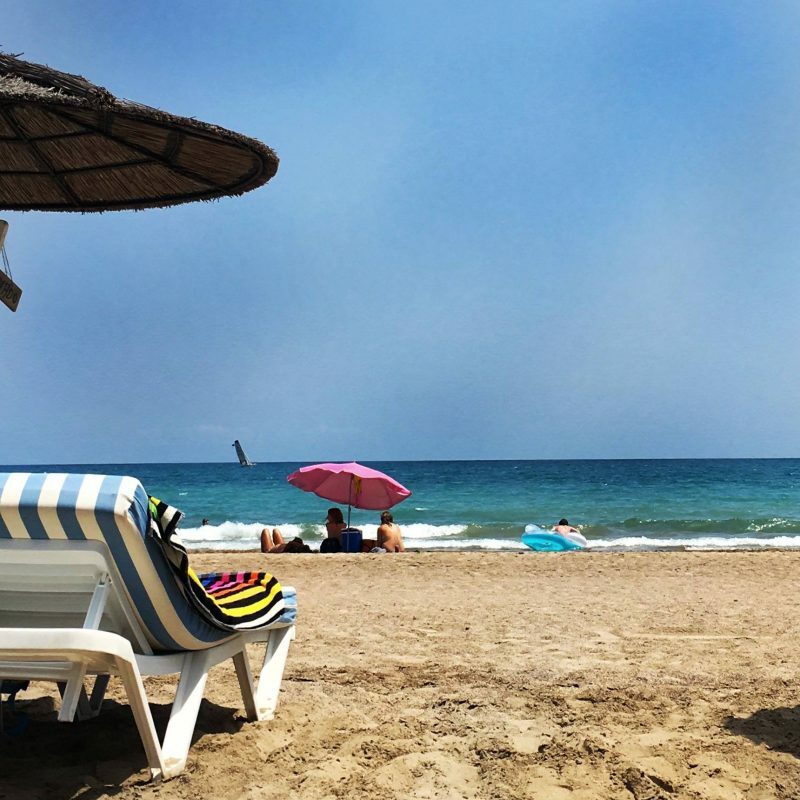 We flew in and out of Spain via Barcelona with Monarch, but there’s a separate post on that, and from the airport, we boarded a coach and headed down to where the festival is held in Benicassim about 3 hours away. 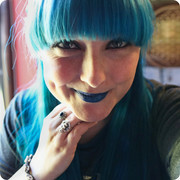 This went shockingly fast as we giggled and chatted the journey away. On arrival we made the long walk round to The Glamping Co in the Blue Camp to get to our tent. I’d say the name is a tiny bit misleading as it’s not glamping as such, it’s just a tent that’s already put up waiting for you! We paid around £37 each for the 2 person tent to be there waiting for us and when were shown our tent we were dead chuffed to find a 4 man tent with plenty of space. We also had a tent lock, torch, yoga mat, real toilets and showers and 24hr security which was all included in the price. 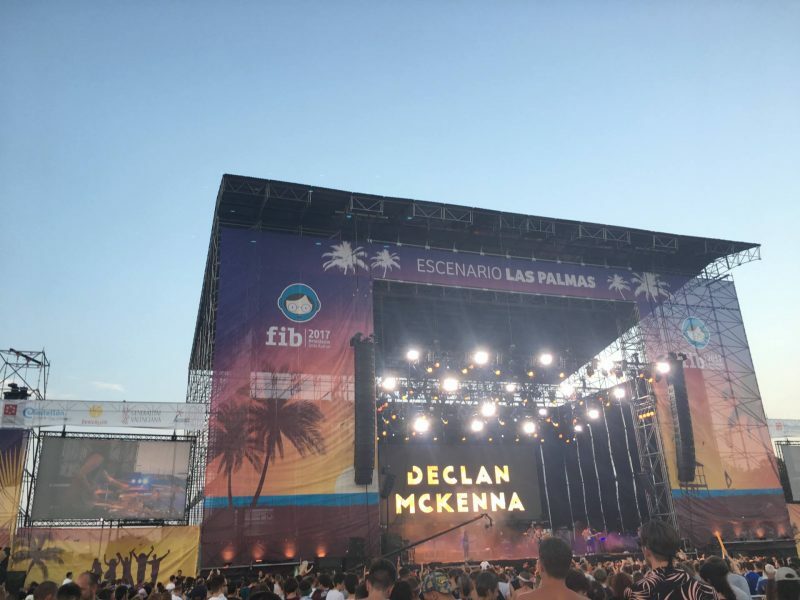 The festival itself had some cracking acts play including Declan McKenna, Slaves, Dua Lipa, Peter Doherty, Liam Gallagher, Kasabian, Red Hot Chili Peppers, James Vincent McMorrow, Biffy Clyro, The Courteeners, and Bonobo. There were also lots of well known Spanish acts that we hadn’t heard of but drew big crowds too. The biggest shock of the festival for us was Charlotte Church’s Late Night Pop Dungeon which we had no idea of what to expect. We took a wander over to the stage she was playing at and ended up on the barrier and having a really sing along to all the pop songs she covered. Totally didn’t expect to have so much fun at 4 o’clock in the morning! There was a new addition to the festival since I last went around 6 years ago and that’s the South Beach stages compete with swimming pool and two little dip pools. These had DJs and more club like acts so we didn’t spend much time there but the set up was really cool, kind of like a 1950’s style hotel and bar area. 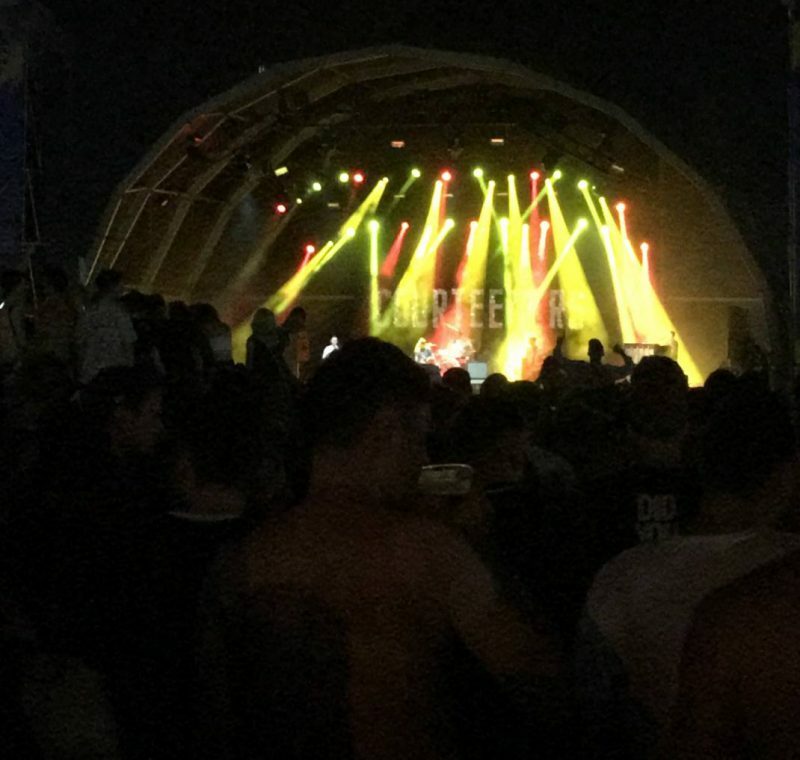 One of the great things about going to a festival in Spain was that the evenings were always warm, we could wear shorts and not have to worry about getting colder as the night went on. We didn’t even have to carry cardigans or hoodies with us. 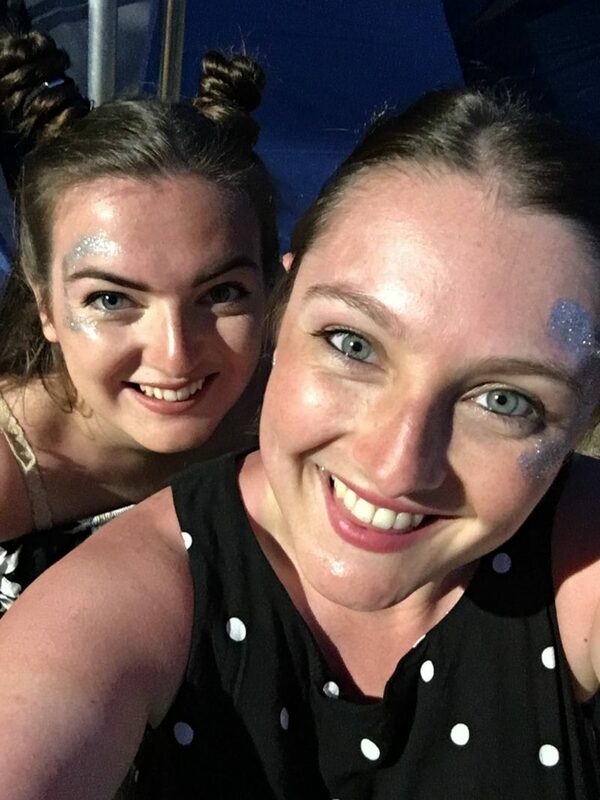 We wore a lot of glitter, floral headbands and sequin bum bags to feel really festival themed and with the cool set ups around the stages there were plenty of photo opportunities. There were lots of food options within the festival but we only ate there once as we tended to eat along on the beach front in traditional Spanish eateries as I love a bit of authenticity and to help the locals. Food in the festival did seem reasonably priced compared to what we were used to in the UK! Drinks were cheaper too. 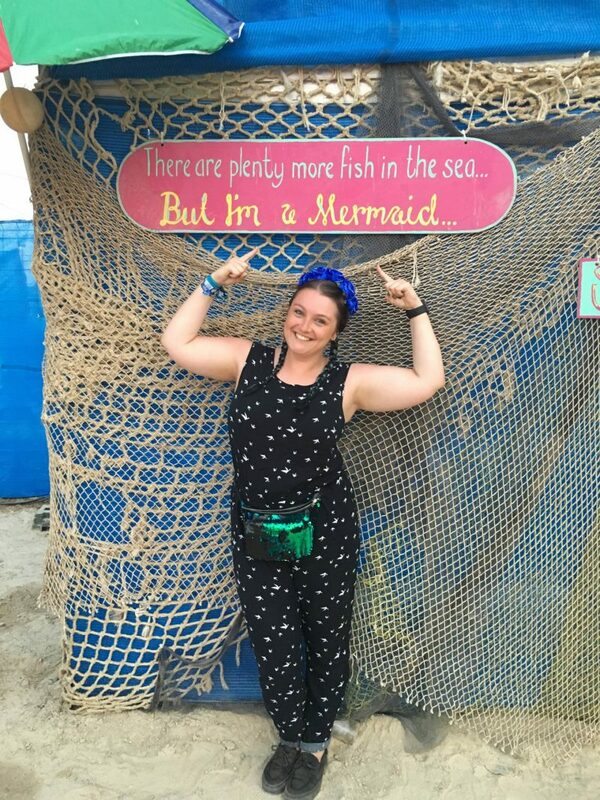 We had such a great festival and loved getting a beach holiday out of it too so thank you Festicket for picking me as your winner!